American scientists from the Boston clinic created a robot designed for the cultivation of human internal organs. At the moment, experts conducted the first stage of animal tests, which led to good results. The experts managed to reproduce a part of the esophagus in an artificial environment, and it has perfectly taken root. Soon, scientists plan to abandon the transplantation of donor internal organs and perform surgical operations. If the final stage of the experiment is completed successfully, the doctors will be able to save people from the most complicated ailments of the gastrointestinal tract, applying minimal efforts to this process. A positive aspect is the high rate of replacement of damaged internal organs with the application of a new technique. The first stage of testing was performed on animals. The robot's capabilities should be checked on people, if the results turn out to be similar to the previous ones, then we can talk about the beginning of a new era in medicine, when modern technologies will gradually displace people from this sphere. Among the novelties of the January CES 2018 smartphones were few. And yet at the exhibition in Las Vegas, there were several noteworthy devices: Samsung's bendable smartphone, devices with a fingerprint scanner in the screen and with a folding camera, an inexpensive Sony smartphone with a camera like that of the flagships. Let's choose the most interesting device from the exhibition. Immediately two Chinese manufacturers announced smartphones with a fingerprint scanner in the screen. In the Bluboo S2 and S3 models, in addition to the sensor, the display claims a folding rear camera, which in the raised position becomes frontal. At the exhibition only images of devices were shown and announced their release in 2018. The Vivo brand went further - a prototype smartphone with a built-in screen Synaptics fingerprint scanner was brought to Las Vegas. Samsung at CES 2018 in every possible way intrigued the public with the meager data on the new smartphone with a folding screen. At first, the company's representatives said that the novelty should not be expected until 2019. And a couple of days ... held a presentation of the folding device. True, a very closed presentation - it was not allowed to press or visitors. Sony showed at this exhibition just three smartphones. They do not have revolutionary innovations and flagship iron - the most interesting company has traditionally reserved for the mobile exhibition MWC. But low-cost models Xperia XA2 / XA2 Ultra are equipped with cameras, which we could see only in older models. A budgetary Sony Xperia L2 received a battery of increased capacity. Which of the smartphones presented at the first global exhibition in the new year, do you consider the most interesting - and why? Vote, share your opinion in the comments. In the US will build a "smart city of the future"
Panasonic in the framework of CityNow program is going to build in the US "smart city of the future". The new area will appear near the airport of Denver, Colorado. By 2026, the United States will be built a "smart city". It will occupy more than 160 hectares near the airport of Denver. The territory already has devices for distribution of free Wi-Fi, security cameras, solar panels, air pollution sensors and street lights. Serving the "smart city" will be unmanned transportation: the first bus will be launched in the spring of this year. By the end of the works in the city will be installed the system Road X, which will exchange data with drone and prompt the route. This part of the project is being developed by Panasonic in conjunction with the US Transportation Ministry, its value is more than $ 70 million. New technologies are designed to improve the lives of citizens. This is the first similar project of Panasonic in the US, earlier the company built the "smart city" of Fujiwawa 50 km west of Tokyo. 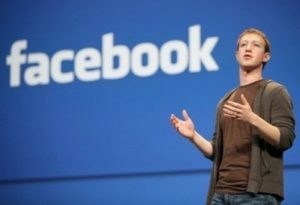 Founder and CEO of Facebook Mark Zuckerberg said that "we are embarking on a major change in Facebook." "In 2018, one of our main priorities will be to ensure that people have a good time on Facebook. We created it to help people stay in touch and communicate more closely with those who are important to us. For this reason, we always put friends and family at the forefront. However, lately, we hear more and more from users that public content from business, brands and media supersedes personal content, "Mark Zuckerberg wrote on his Facebook page today. "We are responsible for ensuring that our services contribute to the well-being of people. We conducted serious studies, listened to the opinion of the scientific community, talked with leading experts of universities. Studies show that when we use social networks to communicate with people who are dear to us, it contributes to our well-being. We can feel less alone, and in the long run it is associated with indicators of happiness and health. On the other hand, passive reading of articles and watching videos, even if they are funny and interesting, may not be so good. In this regard, we are embarking on implementing major changes in Facebook, "Zuckerberg said. "We started implementing these changes last year, but it will take several months for the new approach to be reflected in all of our services. The first changes will affect the news line, where you will see more information from your friends, family and groups and less - from business, brands and media, "the founder of Facebook confirmed.